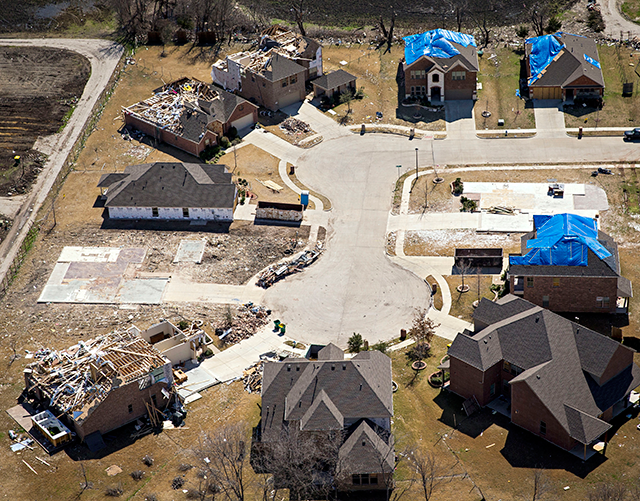 In Tornado Alley, a tornado-resistant building code is an idea whose time has come. Every spring, when the wind howls and tornado sirens wail, we remember that a wolf prowls our region, looking for the next house to blow down. We’ve all heard the story of The Three Little Pigs, but did we learn the lesson? Conventional wisdom says we can’t afford to build homes to withstand tornadoes, the worst of which can bring devastating wind speeds over 200 miles per hour. Instead, we buy insurance and hope the wolf passes us by. Only those in the direct path of the strongest tornadoes experience wind speeds anywhere near 200 miles per hour. 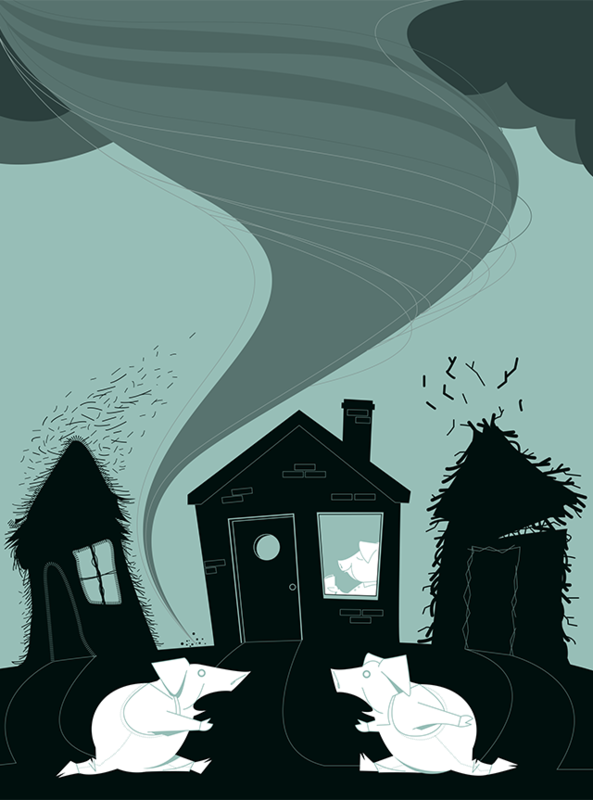 Most homes are damaged by much lesser winds at the perimeter of large tornadoes or by more frequent, smaller twisters. The Oklahoma City suburb of Moore learned its lesson after a third deadly visit from the wolf in 15 years. An EF5 (the highest rating on the Enhanced Fujita tornado damage scale) nearly leveled the city in 2013, killing 24 and causing $2 billion in damage. An EF4 killed two people in 2010 and another catastrophic F5 killed 36 in 1999. In response, Moore became the first city to develop and adopt a tornado-resistant residential building code. Moore wasn’t the first jurisdiction to face natural hazards. If California can build homes to ride out earthquakes, and Florida can build homes to resist hurricanes, why do areas in “Tornado Alley” still ignore the reality of tornado risk? The argument is usually economics, but the enhanced code in Moore doesn’t require big, expensive changes. Builders have estimated the additional cost at $1.50 to $2.20 per square foot—or about $3,000 or $4,000 for a 2,000-square-foot home. Moore’s new building code requires that homes be built to withstand winds up to 135 miles per hour, up from the previously accepted standard of 90 miles per hour. Most of the difference comes down to stronger connections: Tie the roof better to the walls and the walls better to the foundation. The enhanced code mandates special nailing patterns with longer nails, closer spacing of rafters, “hurricane straps” to tie the rafters to the walls, and anchor bolts to connect the base plates to the concrete foundation. The code also requires rigid oriented strand board (OSB) sheathing on all the walls and a fortified garage door rated for 135-mile-per-hour winds. It also gives the residents more time to get to a safer area of the house, whether that’s a storm shelter or the most interior room on the ground floor. Wind doesn’t destroy a home in an instant, so a little extra time could mean the difference between life and death. The weakest links are commonly the roof system and the garage door, which is why both issues are critical. The garage door is often the first piece to fail, allowing the swirling winds to enter the home. Internal pressures then build, and the walls blow out from the inside. If the garage door withstands the winds, the entire house can be saved. 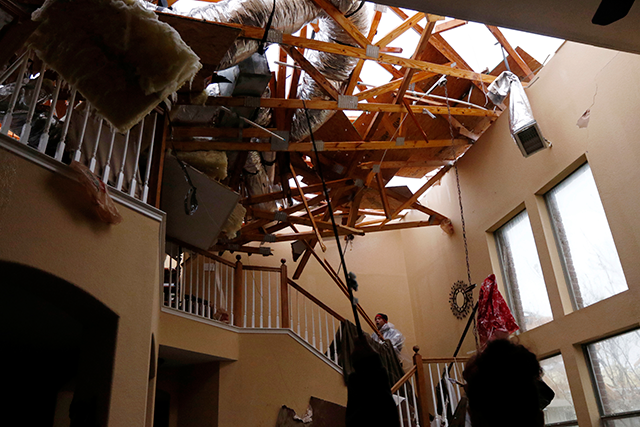 Similarly, roof connections typically lack strength in tension, leaving them vulnerable to suction forces during a tornado. Once a hole forms in the roof, the winds again can enter and tear the house apart from the inside. Simmons analyzed the Moore code and its economic impacts in a paper published last year in the journal Weather, Climate, and Society. He found that Oklahoma could save $11 billion in future damages if it were to adopt a tornado-resistant code statewide, almost four times the amount it would spend on the enhanced construction. That would seem to be a worthwhile investment. Ramseyer advocates for stricter building codes across the nation. “It’s not just a Texas or an Oklahoma problem,” he said. In an average year, the United States records 1,200 tornadoes over roughly two-thirds of the country. Most occur between the Rocky Mountains and the East Coast. 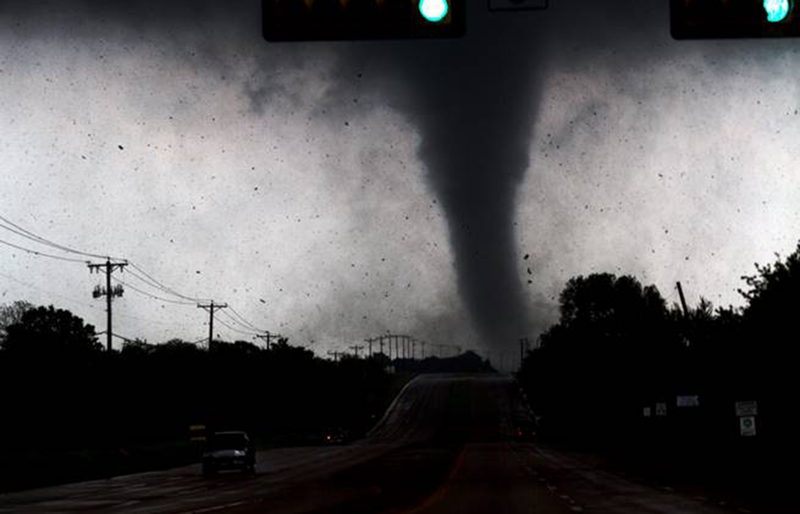 Texas sees the most twisters of any state with an annual average of 132. Last year was a particularly bad year for the Lone Star State, with 258 tornadoes causing $116.7 million in damage. Seventeen people died—most of them from an EF4 tornado that ripped through Rowlett and Garland on December 26. Simmons’ cousin—one of the fatalities—was thrown from an overpass at I-30 and the George Bush Turnpike. The tornado wreckage revealed widespread faulty construction on many of the damaged homes, as reported in The Dallas Morning News, as well as “horrific” construction at a Glenn Heights elementary school. Examinations found that the steel base plates at the school were simply nailed to the concrete, providing no meaningful connection to the foundation. Walls fell away at winds well below the current design criteria. It’s a level admittedly short of being tornado-proof. The enhanced code won’t save a home directly in the path of an EF5, but it should hold homes together at far more common wind levels of EF3 and below. If that’s still not good enough, a safe room might be the answer. A shelter is the improvement most likely to keep residents alive if they’re unfortunate enough to be at the center of a catastrophic tornado. Shelter kits can cost about $5,000 and can be easily retrofitted into an existing home. Still, most jurisdictions have not supported mandates for storm shelters because the cost-benefit analysis does not show them to be the best place to spend money at a society level. Tornadoes kill about 70 people a year on average, and many of those people weren’t at home and wouldn’t have been able to reach a shelter even if they had one. The chances of a shelter saving your life is still quite small. In tornado-ravaged Moore, many residents chose to add a shelter anyway for peace of mind. Forty percent of the homes in Moore now have shelters. 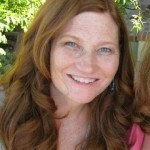 Cindy Smith, AIA is an architect with Gensler.